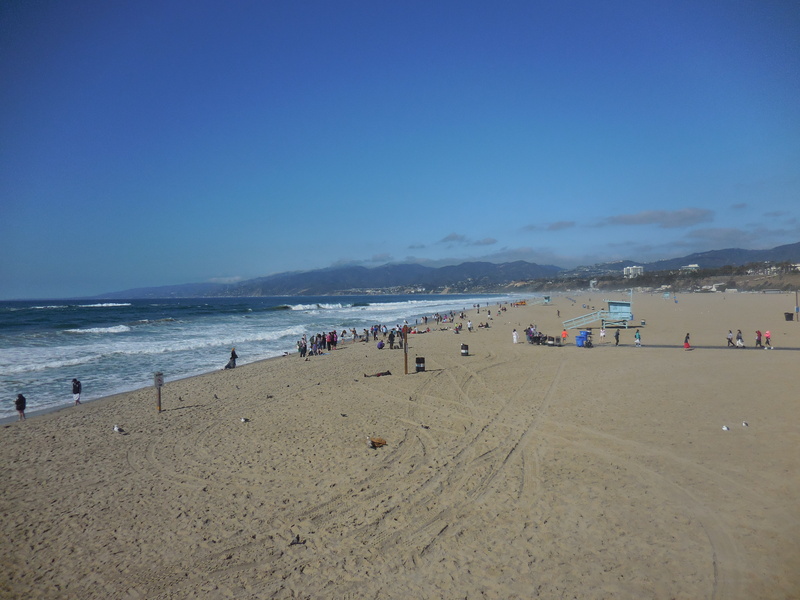 Sunny southern California was just what my pale skin needed in dreary February and to get to spend the time with my mom made the trip extra-special! The area around Santa Barbara was just beautiful– no wonder the celebrities flock here! 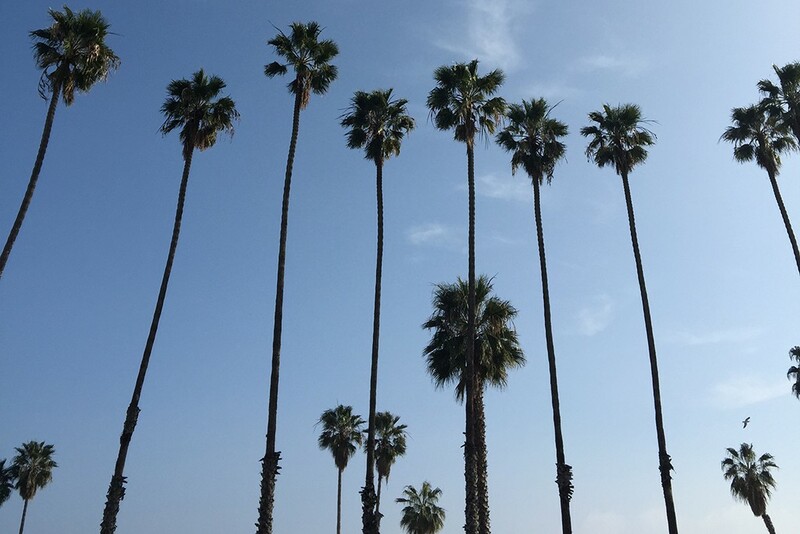 Perfect weather, gorgeous beaches and delicious restaurants… what’s not to love? 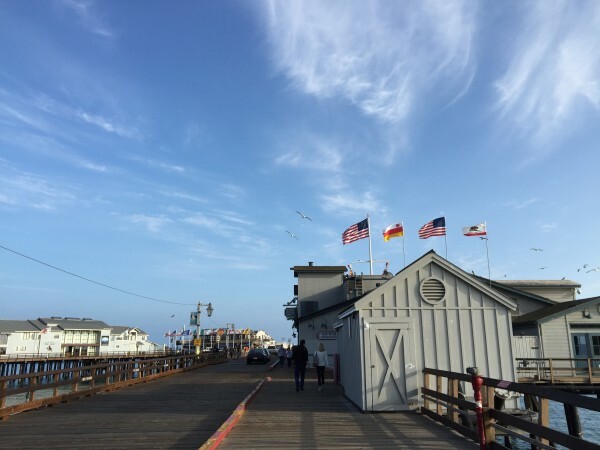 Plus, there’s such a variety of things to see and do — from old Spanish missions to presidential libraries to restaurants on the pier — there’s plenty to keep you busy for days. 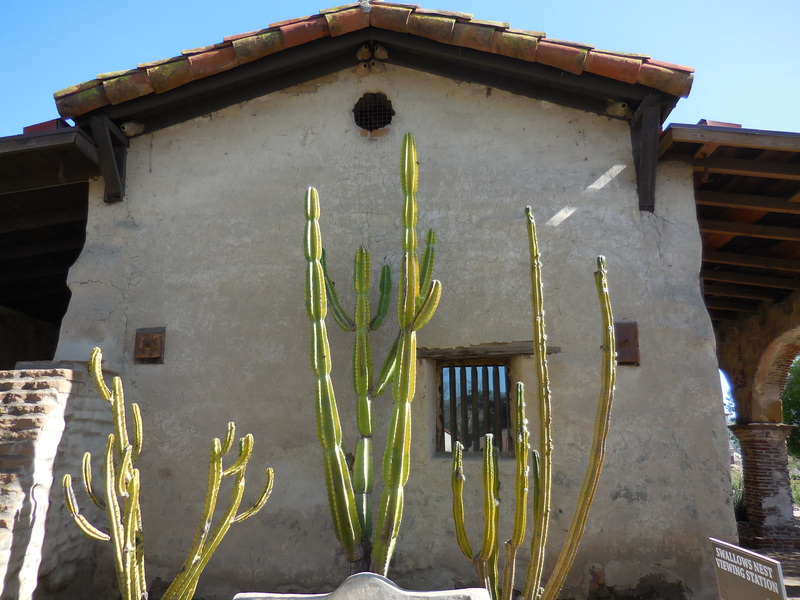 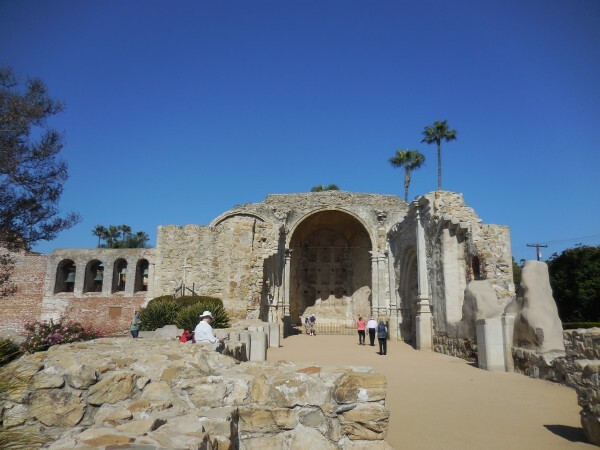 After leaving San Diego behind us, we headed up the coast on Highway 101 and drove about two hours to the San Juan Capistrano Mission. 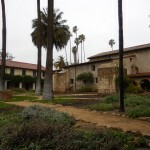 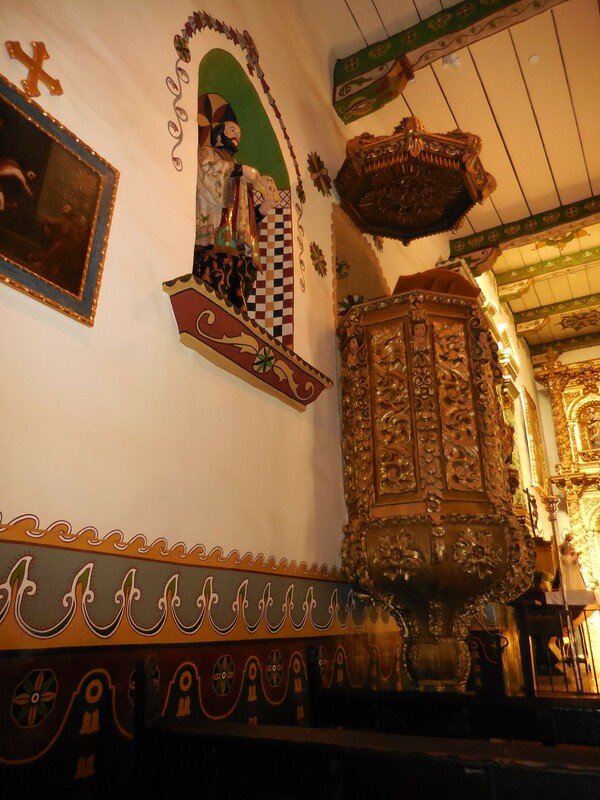 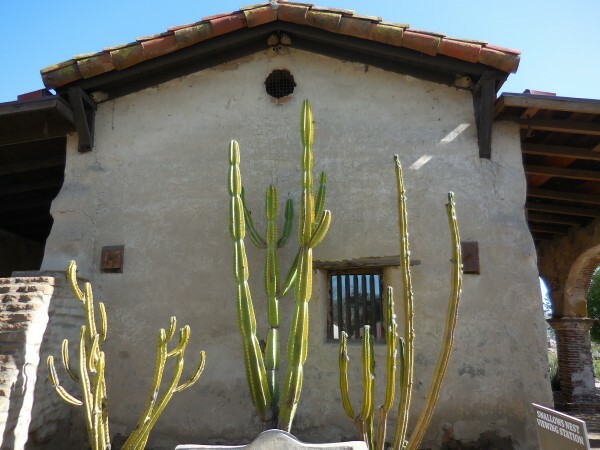 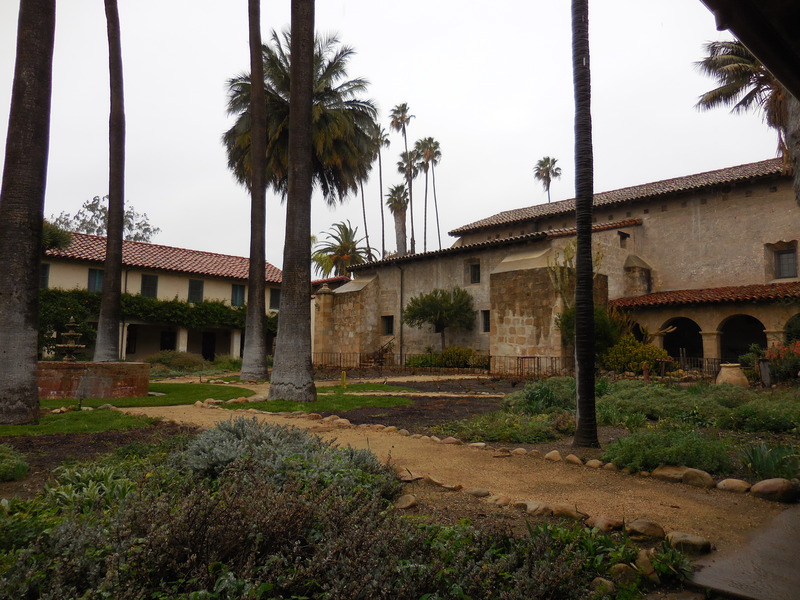 There are 21 missions in California (built by the Spanish Franciscans to spread Christianity among the Native Americans between 1769 – 1833 and ranging from San Diego to San Francisco, these missions were built about one day’s walk apart). 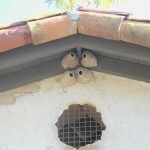 This particular mission, though, is world-famous because the swallows come back here year after year on the same date. 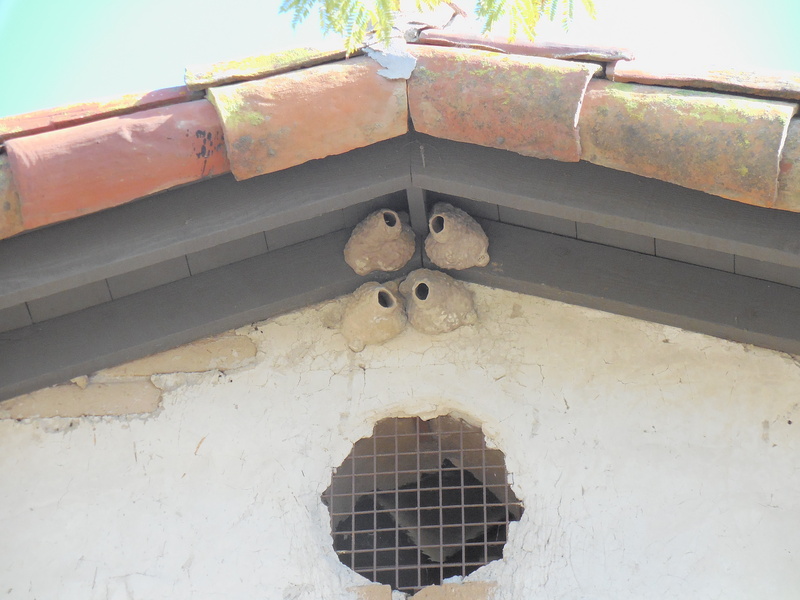 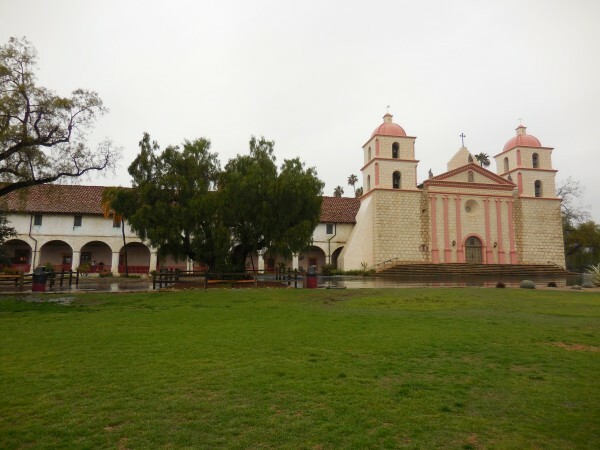 Although not as many swallows come now as used to, the mission is still a beautiful site and there’s much to learn about its history, including the Native Americans who lived nearby. 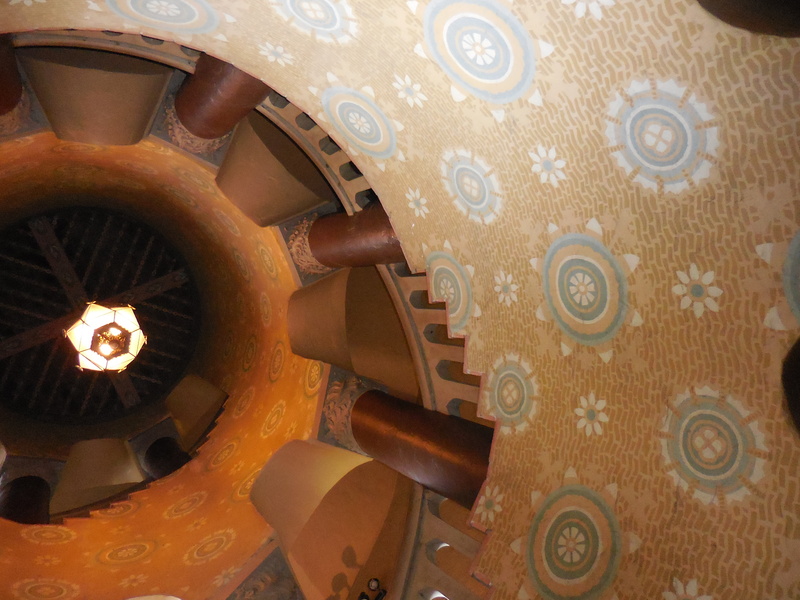 Tickets are $9/adults and there’s a free self-guided audio tour. 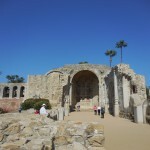 We stayed here about 1.5 hours before continuing on, but could have spent the day basking in the sunlight and sitting under the ruins of the old church. 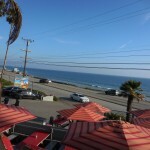 From there, we headed north towards Malibu. 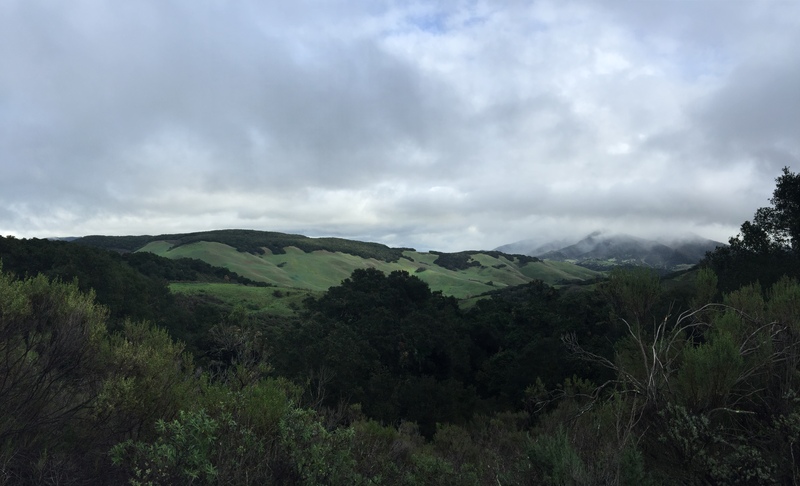 The drive was absolutely gorgeous and we could see a view of the sparkling blue water at every turn. 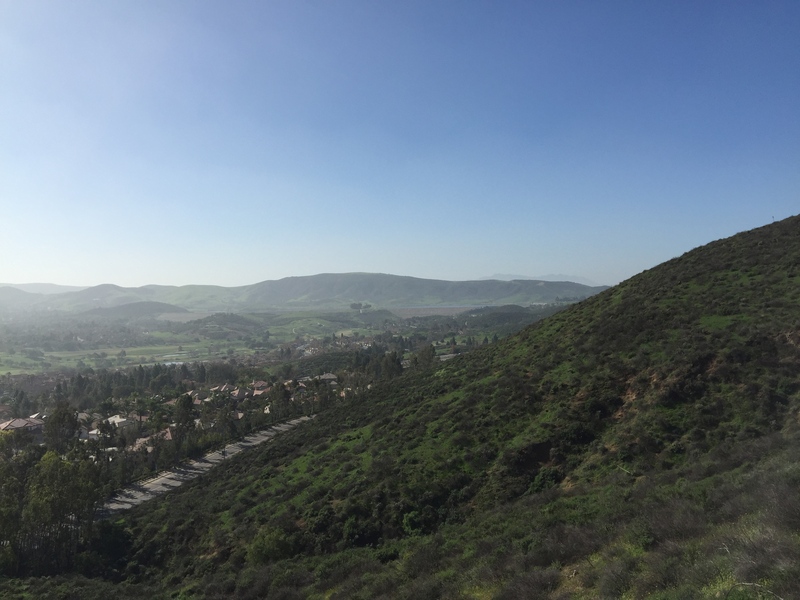 Traffic on this Thursday afternoon wasn’t so bad — even when passing the outskirts of LA, it was never stop-and-go. We drove past the LA skyline in the distance and then passed billion-dollar houses built right on the water in Malibu — although I’m not so sure I’d want to spend so much money on a house if Highway 101 passer-byers could look at my back porch! 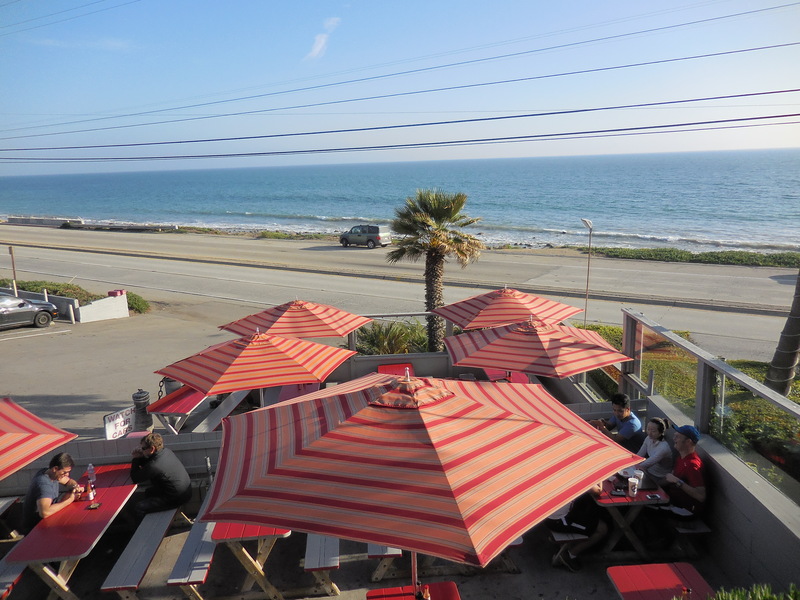 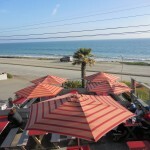 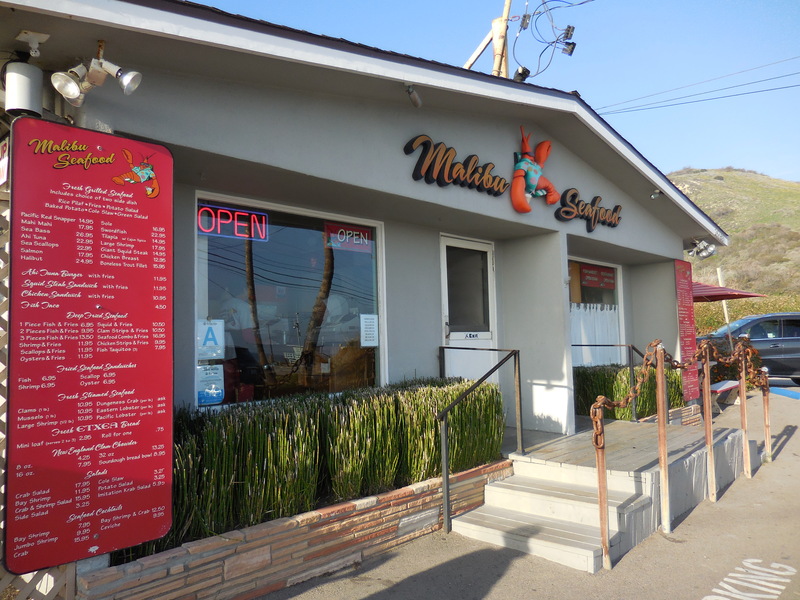 We stopped at Malibu Seafood, an order-at-the-counter type with outdoor seating overlooking the Pacific. 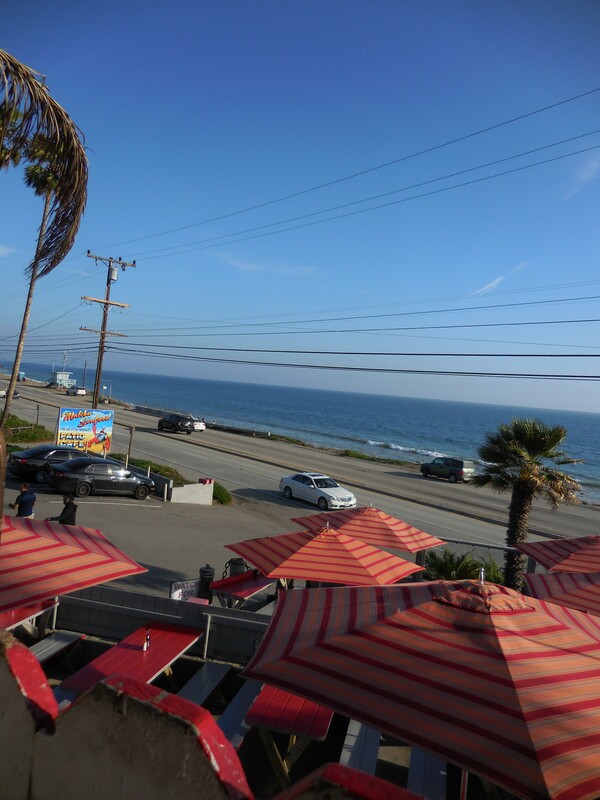 Although the street is in between the restaurant and the ocean, the view is still spectacular and the restaurant itself has a casual, beachy feel with fried fish options. 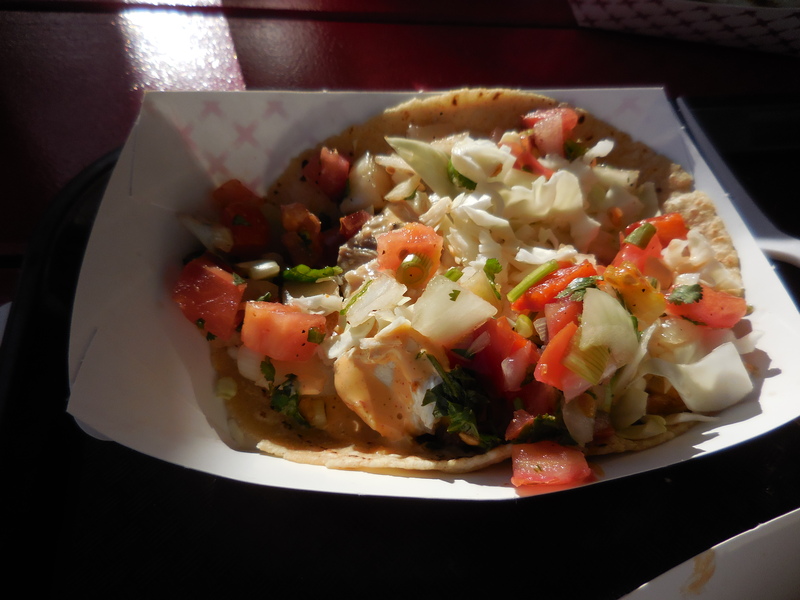 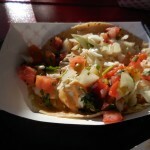 We sat outside at the picnic tables and gobbled up their tasty fish tacos while relishing in the salty ocean breeze. 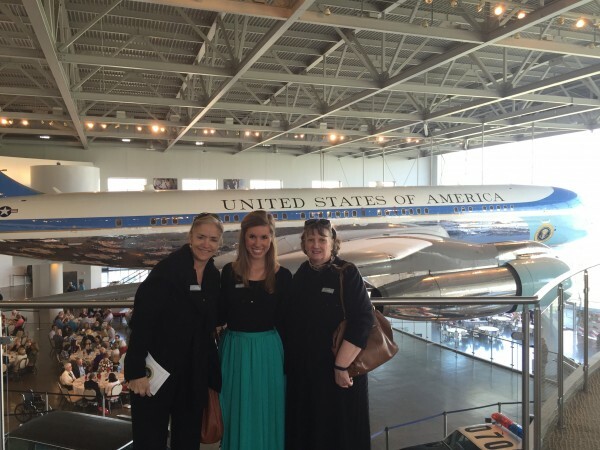 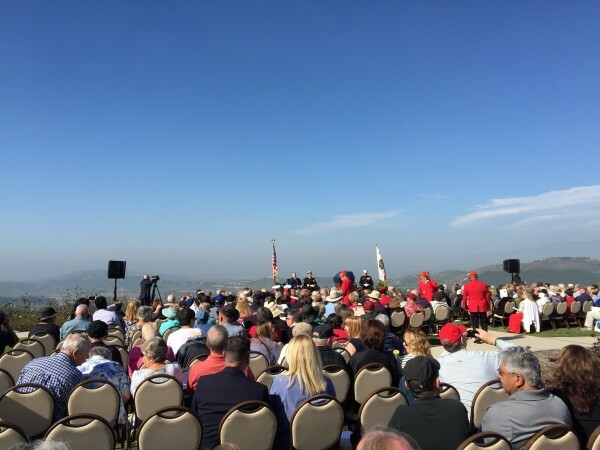 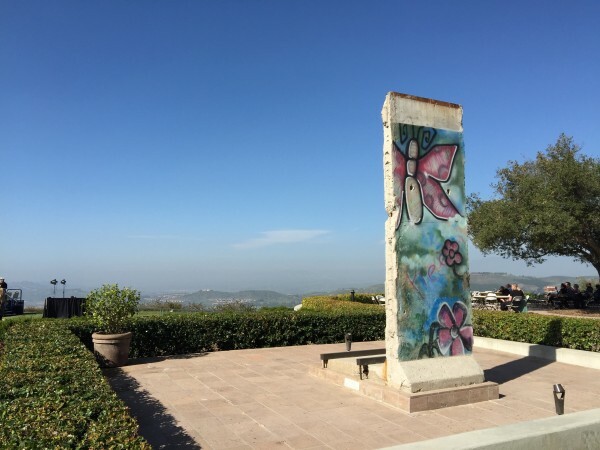 Another highlight of our itinerary was the Ronald Reagan Presidential Library. We met a family friend there one morning and walked in to find an event going on: the celebration of President Reagan’s 104th birthday! 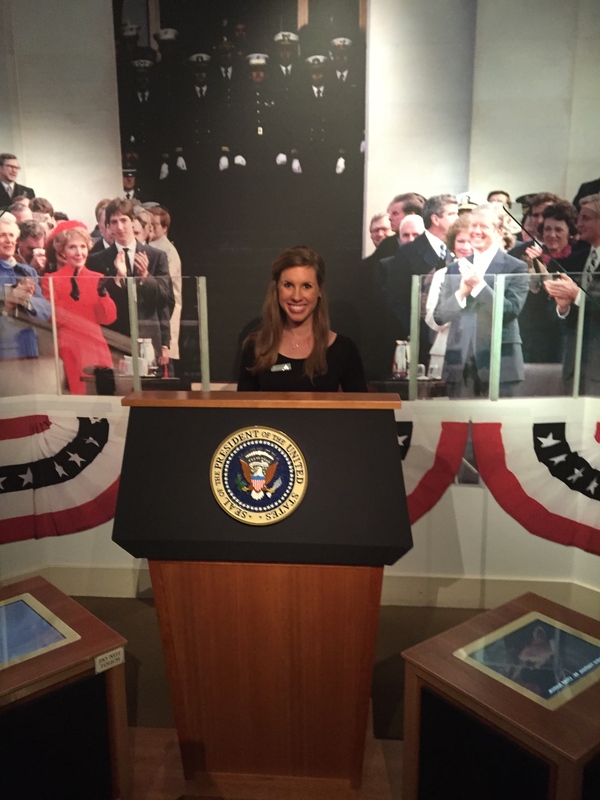 They had a ceremony on the lawn with speakers and even his family in attendance… and complete with birthday cake! 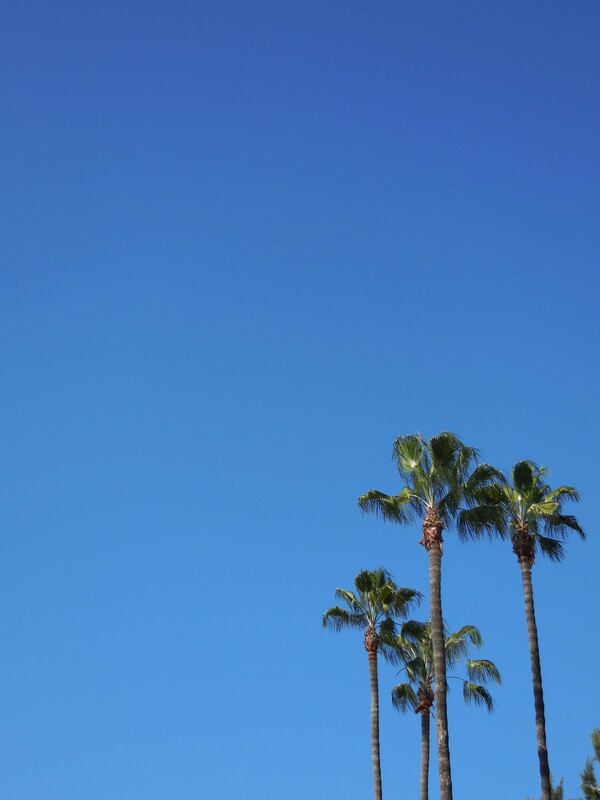 — it was a bit of a shock but we were thrilled to stumble into such a momentous event. 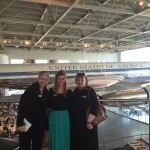 After enjoying the short ceremony, we toured the Museum (our plan all along). 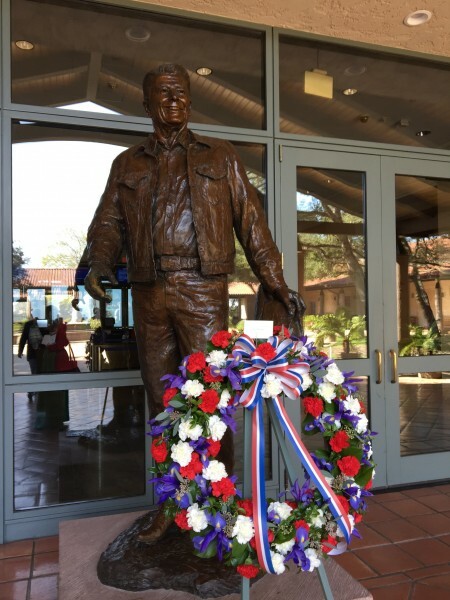 Although he was the president when I was born, I was fascinated to learn more about his childhood, stardom and presidency– there was a lot I didn’t know! 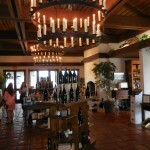 This library is very well-done and well worth the stop on your way from Malibu to Santa Barbara. 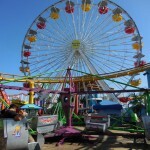 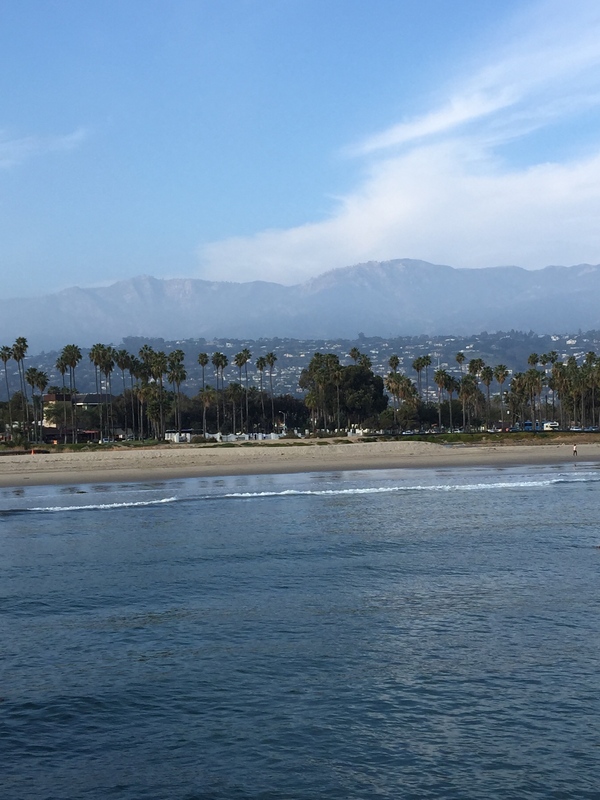 Once in Santa Barbara, we headed straight toward the pier and parked in one of the many parking lots available. 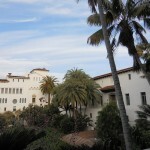 We walked up the palm tree-lined street parallel to the beach and popped into several antique stores. 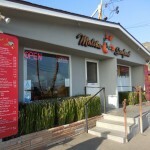 Mermaid’s Chest was a small hole-in-the-wall that was in the area with plenty of finds. 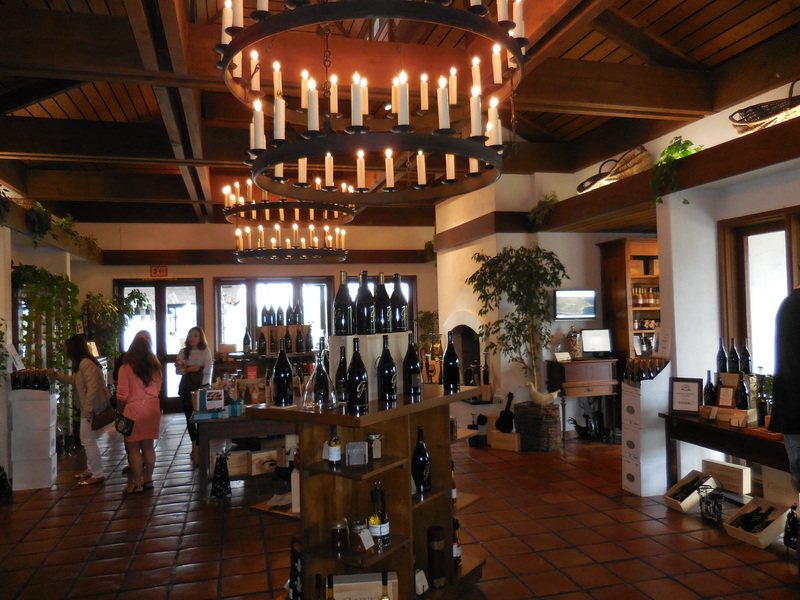 Although we didn’t leave with anything, it was a fun stop! It’s probably uber-touristy, but… so, what? 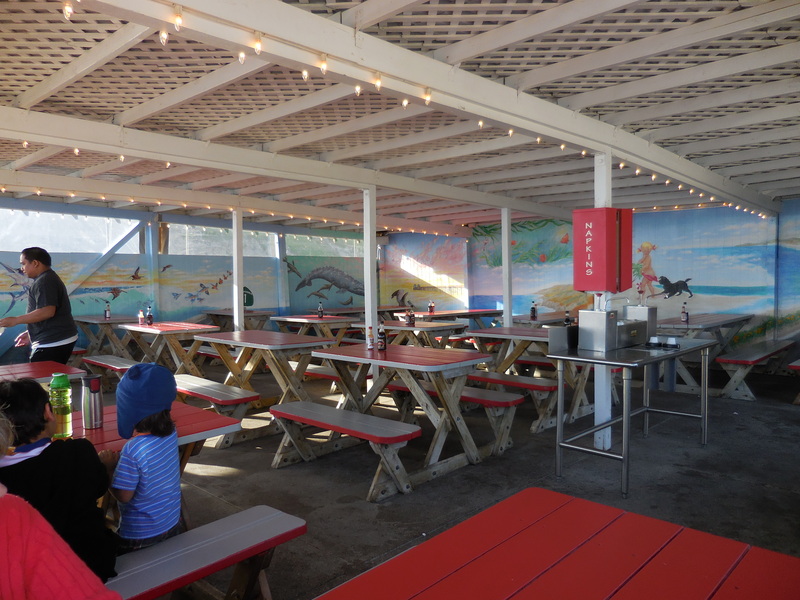 We had lunch on the pier underneath the sunshine. It was so fun to walk down the pier and have the prettiest view of the town with sky-high palm trees everywhere you looked. 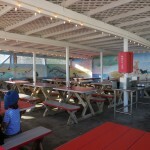 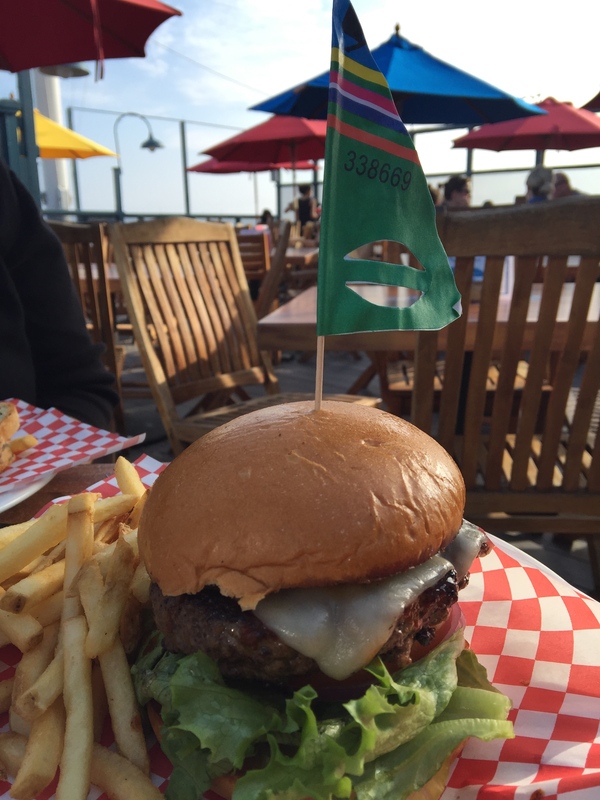 We ate on the outdoor patio of The Harbor Restaurant and had the Aloha Burger for $16. 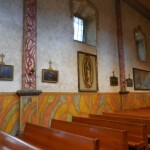 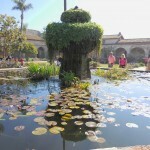 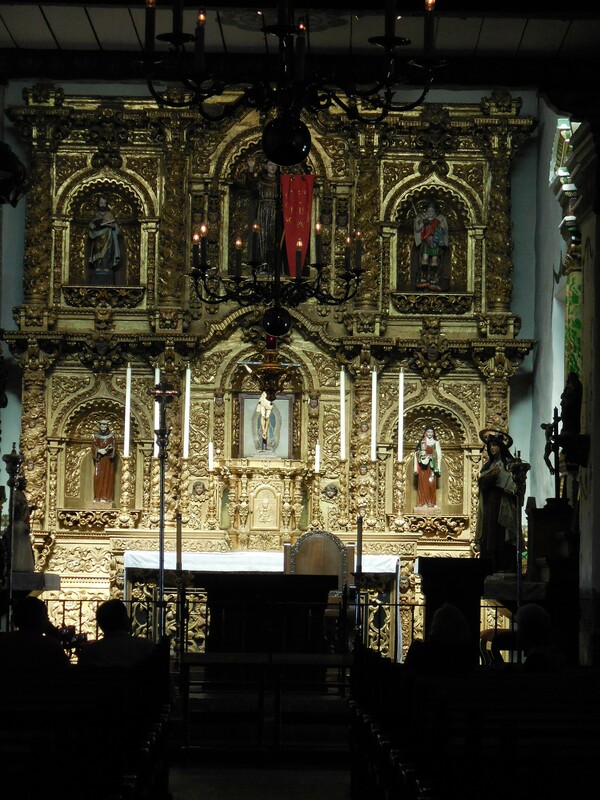 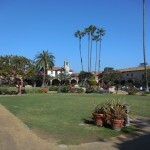 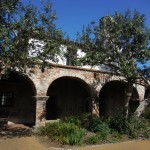 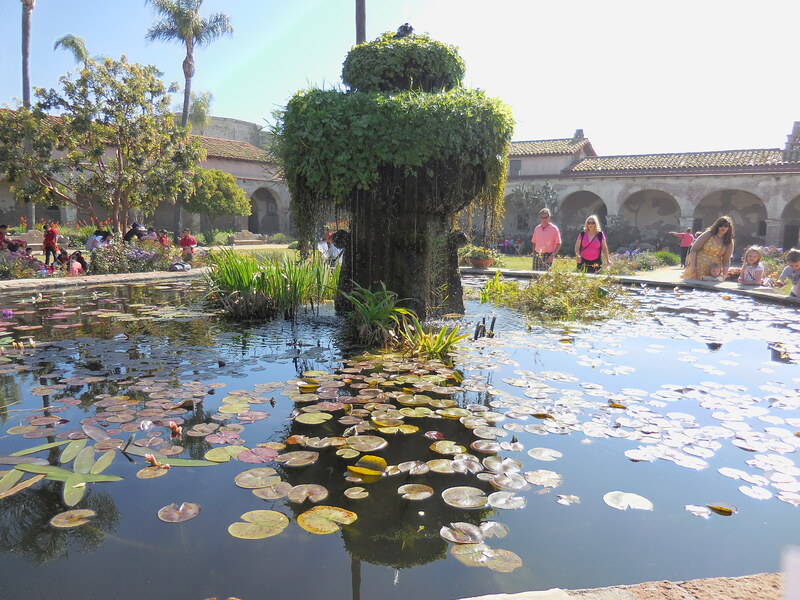 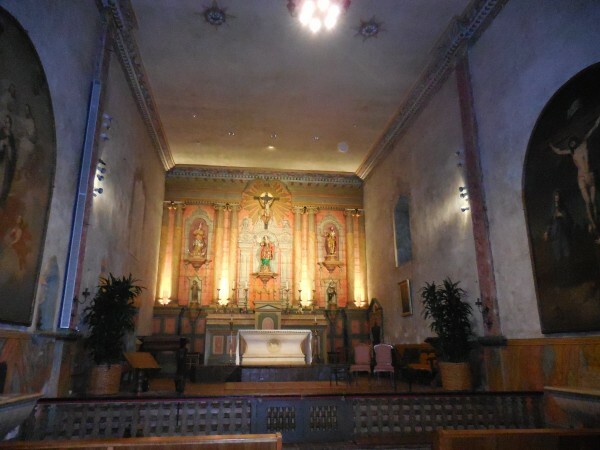 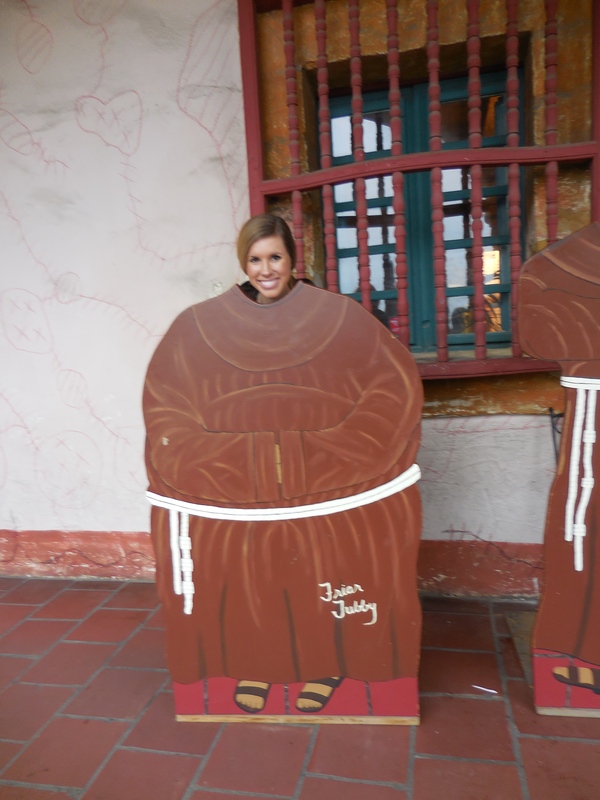 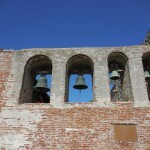 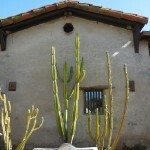 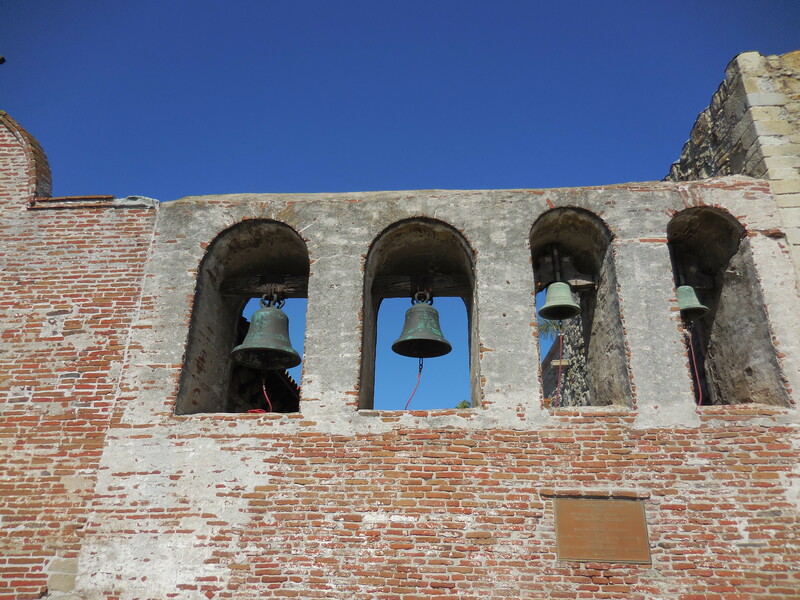 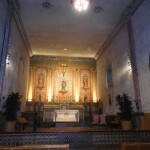 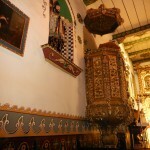 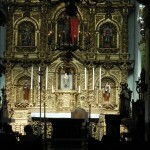 Another must-visit is the Old Mission Santa Barbara. 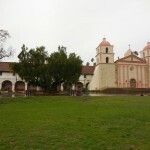 The icon of Santa Barbara, this mission was a bit different than the San Juan Capistrano Mission that we had visited earlier in our trip. 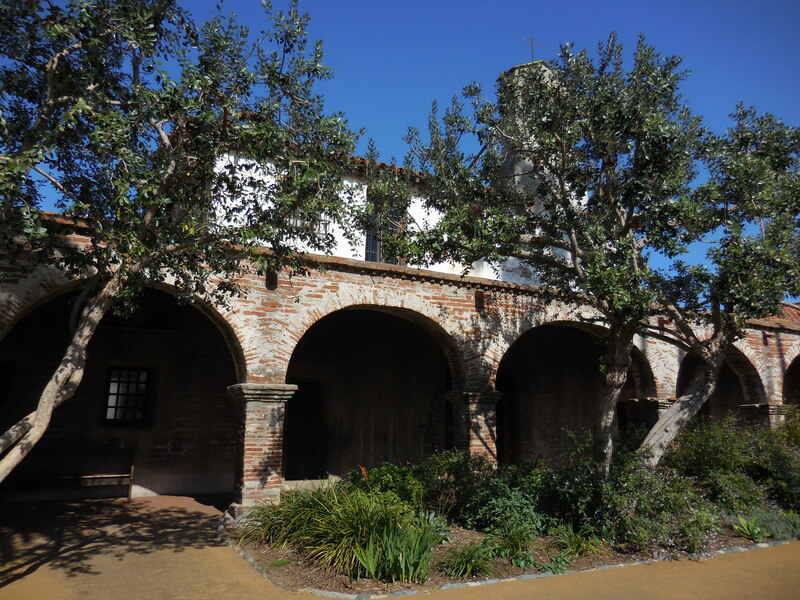 Set right in the middle of the city, it stands as a beautiful history lesson of the city, complete with a gorgeous courtyard and a pretty phenomenal gift shop. 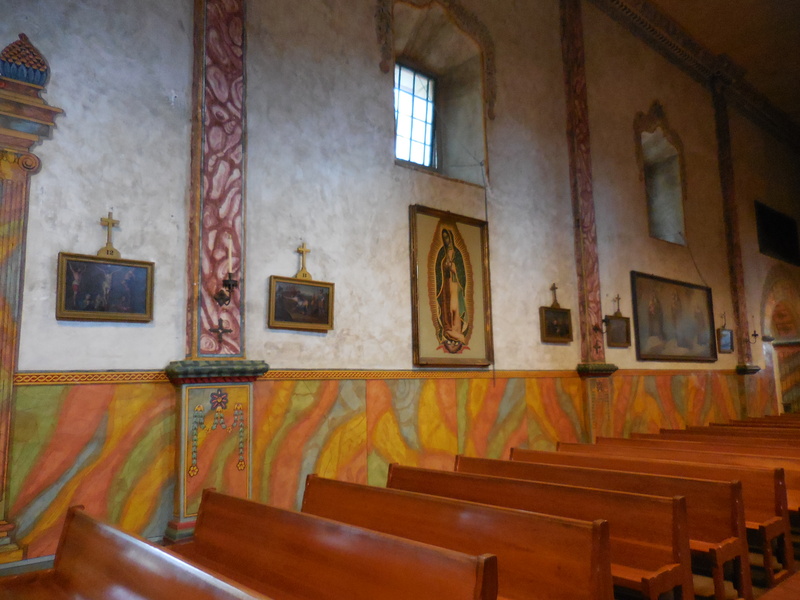 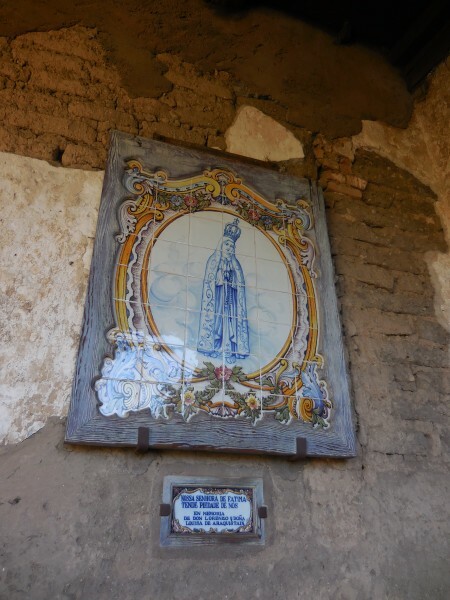 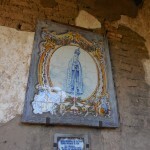 We visited in the pouring rain and the mission was still charming — and well deserving of its title: “Queen of the Missions”. 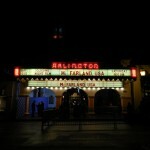 Admission is $7 for adults. 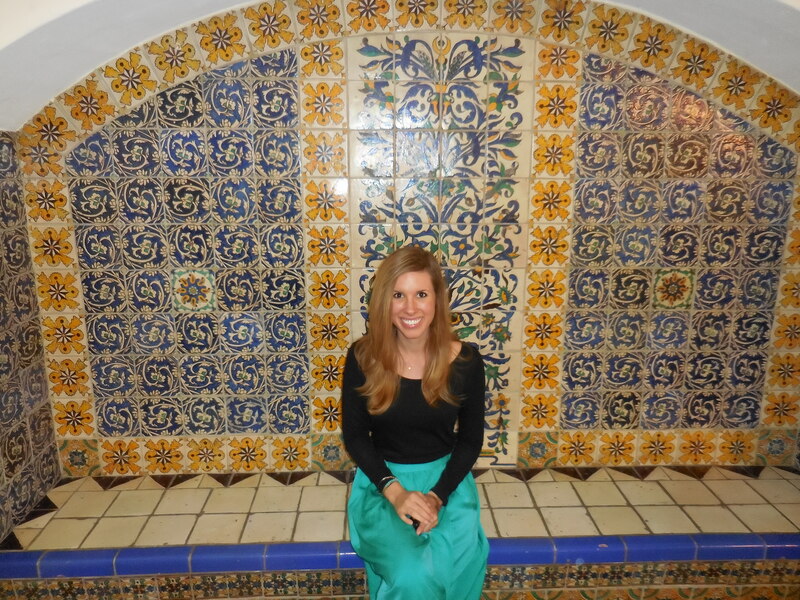 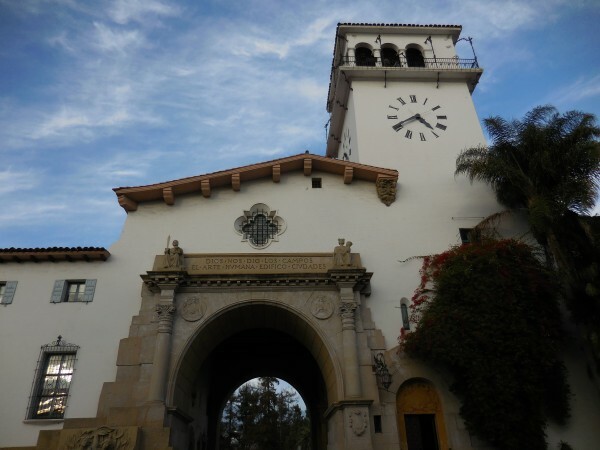 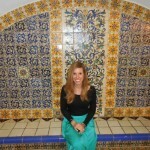 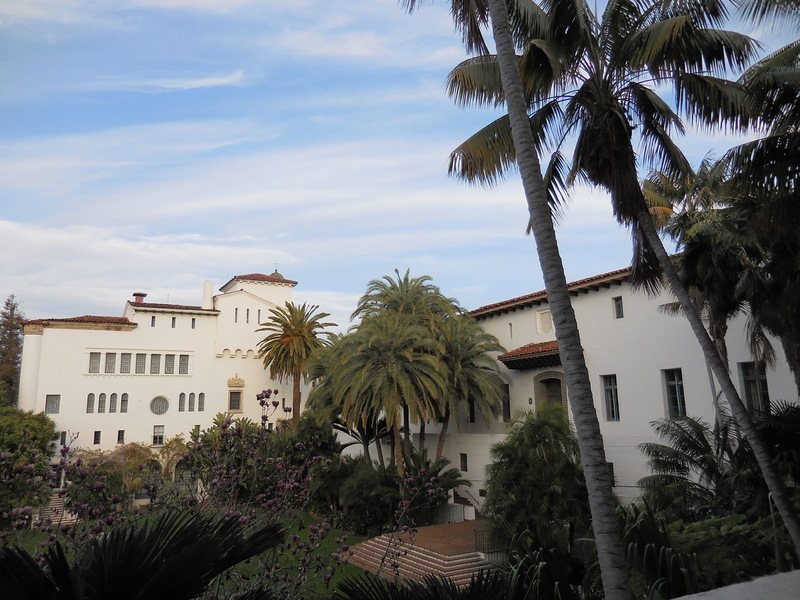 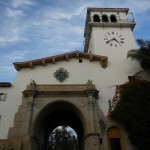 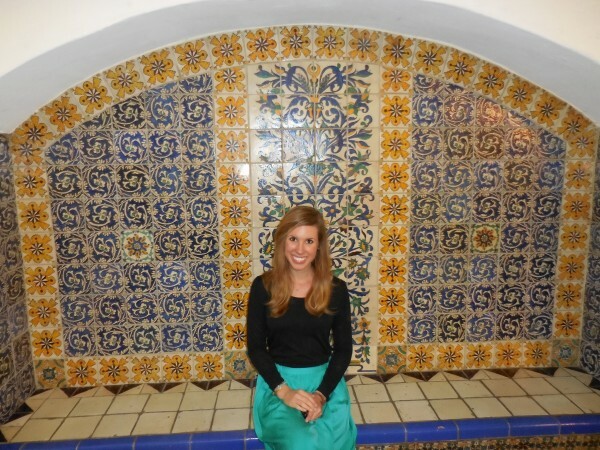 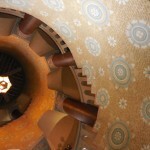 Don’t forget to visit the Santa Barbara Courthouse– one of the prettiest courthouses I’ve ever seen. Be sure to climb all the way to the top of the clock tower for the best views of the whole city! 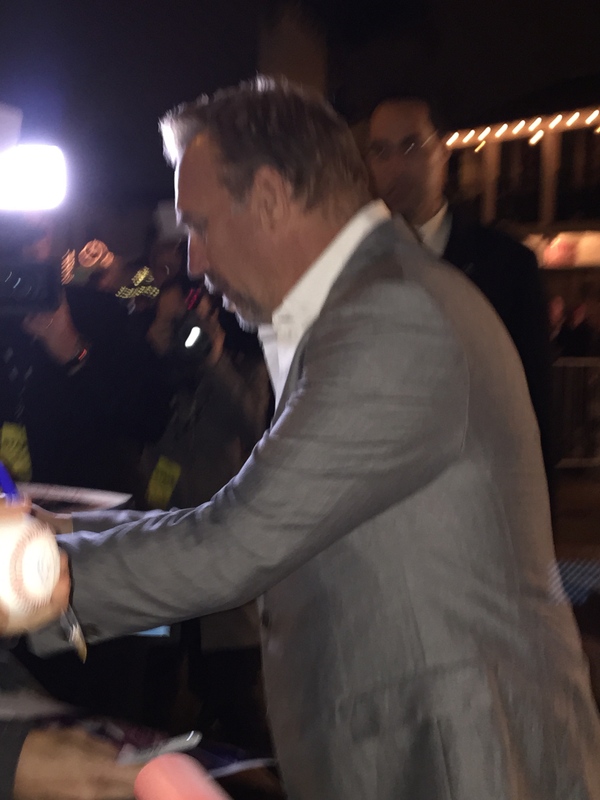 We lucked out and happened to be visiting during the Santa Barbara International Film Festival, so I really did get to spot a real-life celeb (Kevin Costner!). But, of course, that meant that restaurants on State Street were packed. We had heard great things about Opal Restaurant, so we were able to squeeze into the restaurant and eat at the bar– it was a phenomenal choice with a buzzing atmosphere. The grilled chicken scallopini rolled with goat cheese and pesto was the most delicious meal we had on our trip, so we highly recommend a visit to this delicious spot! 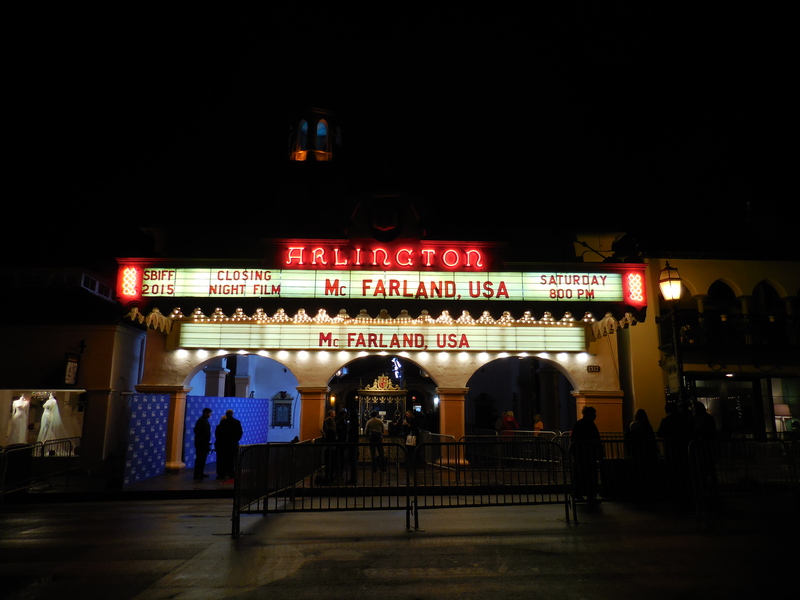 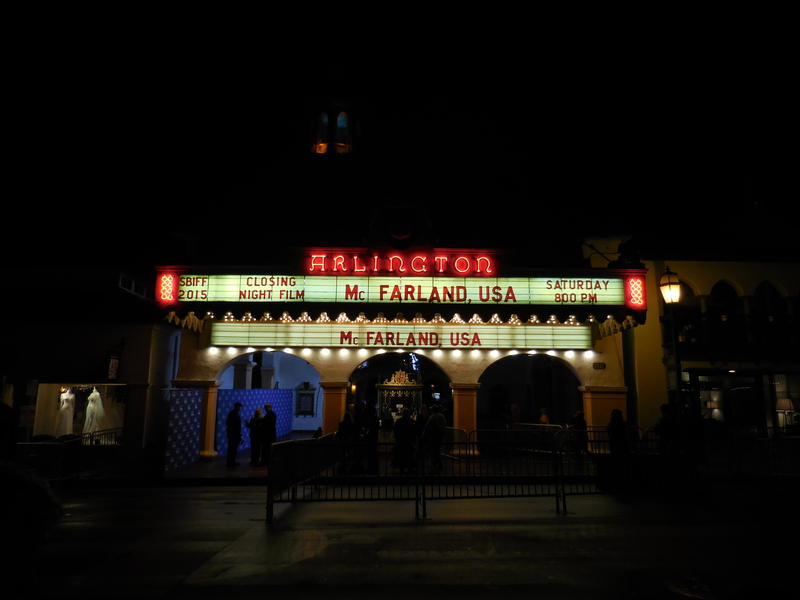 Lucky for us, it was right next to Arlington Theater where Kevin Costner’s new movie McFarland USA was premiering later that night– so, of course, we stood in line with the crowd to catch of glimpse of the actor! 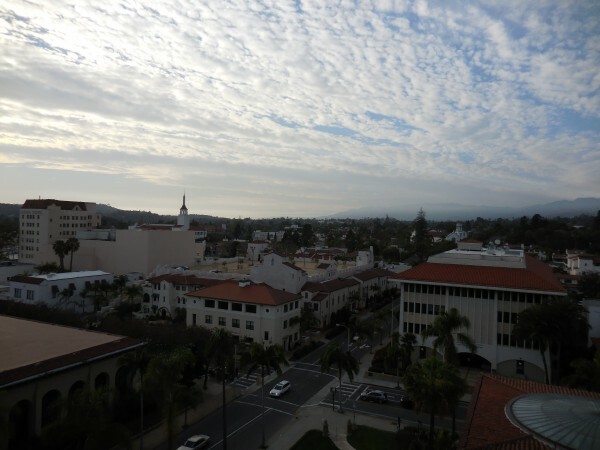 Walking along State Street was extra exciting with all the commotion going on with the film festival, but it was fun to pop into the antique stores for some browsing & rest from the activity going on outside. 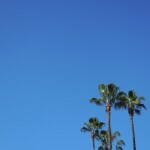 And, bonus! Check out this antique embroidery from Peru that I found at Antique Alley on State Street… what a fun treasure to remember our trip by! 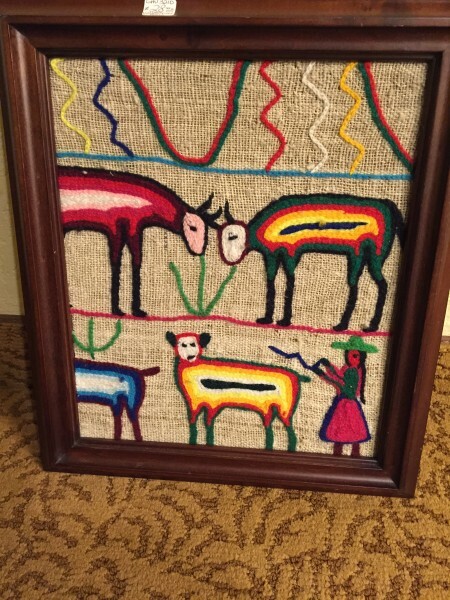 Fun treasure (for a steal!) 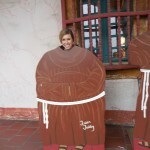 from Antique Alley! 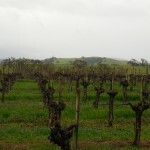 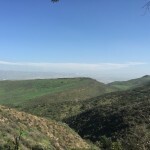 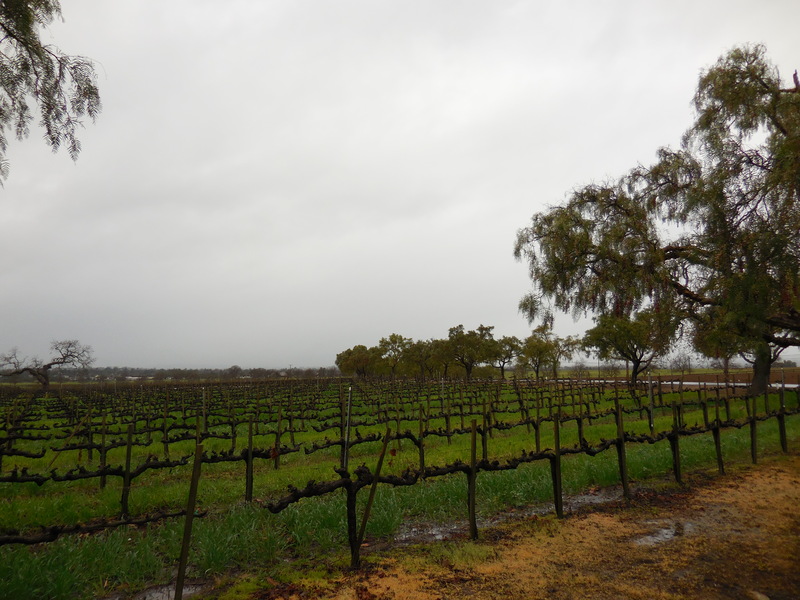 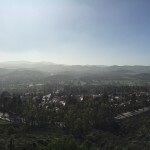 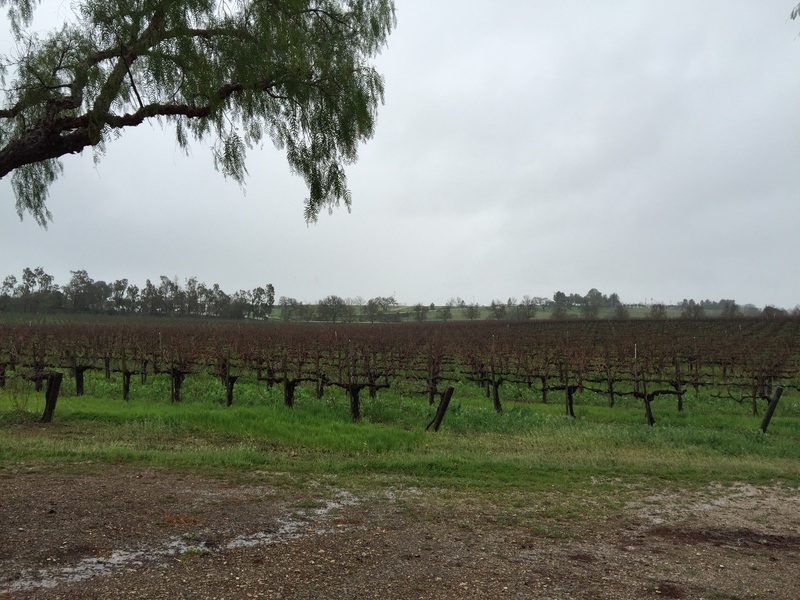 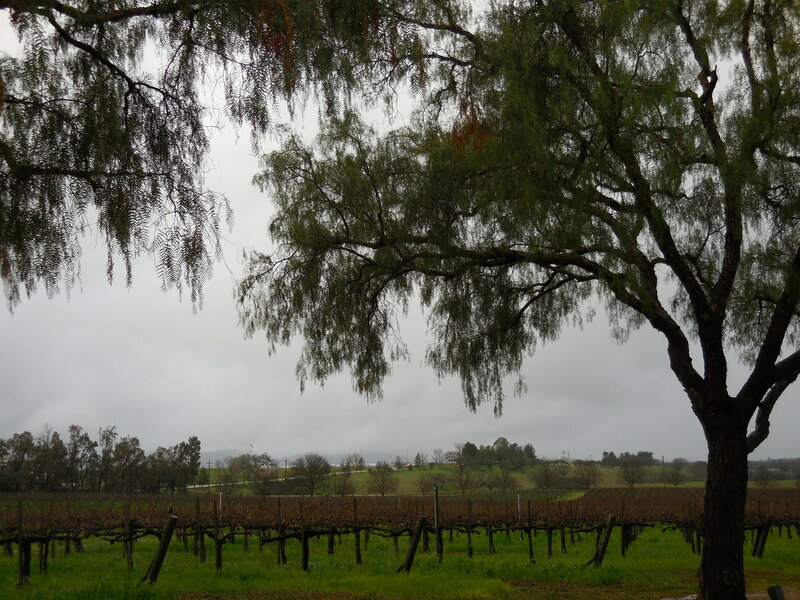 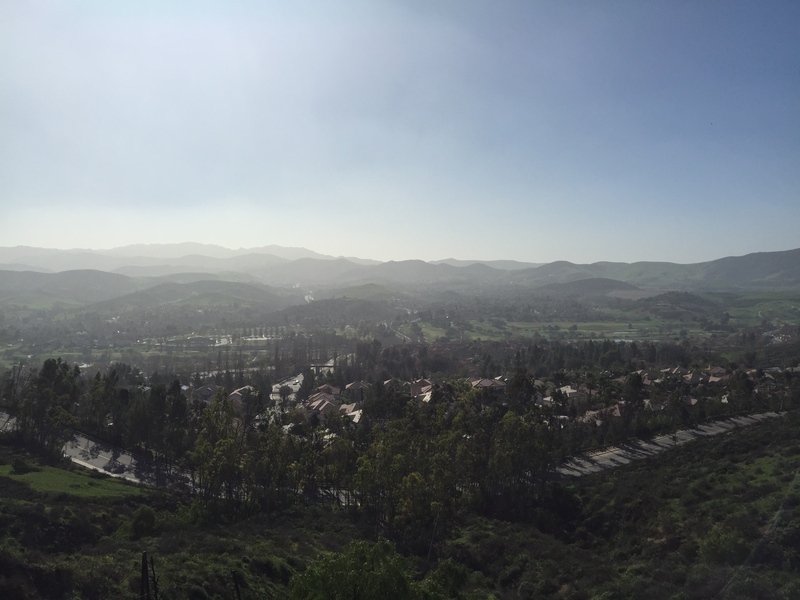 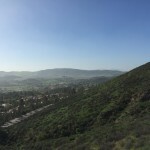 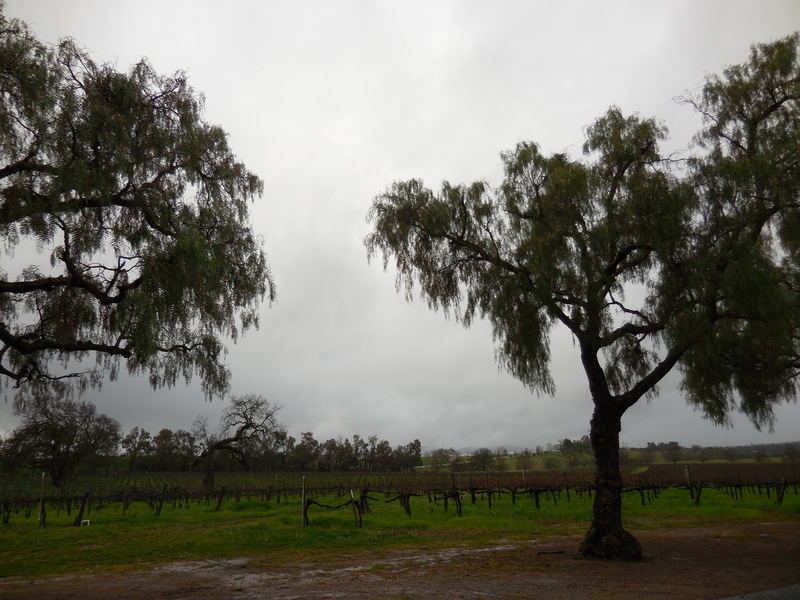 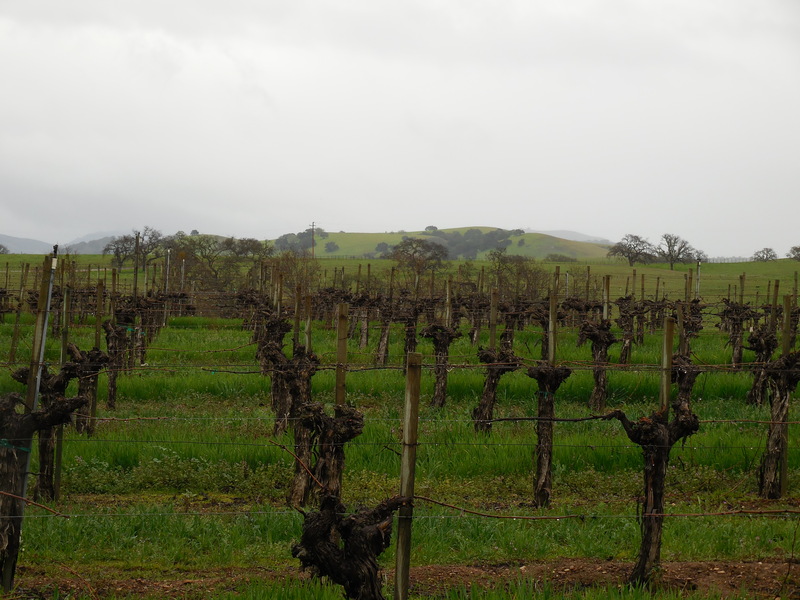 After spending a few days in Santa Barbara, we headed out for a day trip to Santa Ynez, a small valley about 30 minutes north of Santa Barbara. 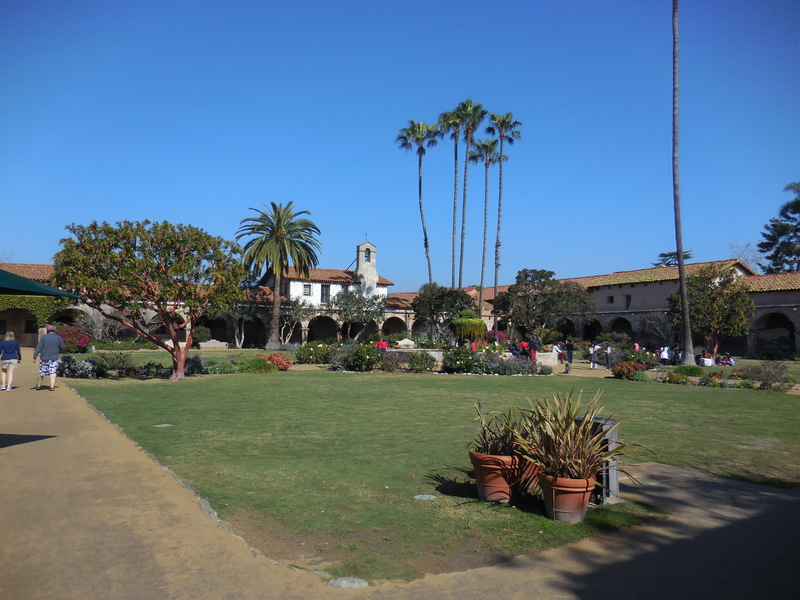 We have family friends that call this little village home and it was a perfect day trip from the more touristy town of Santa Barbara. 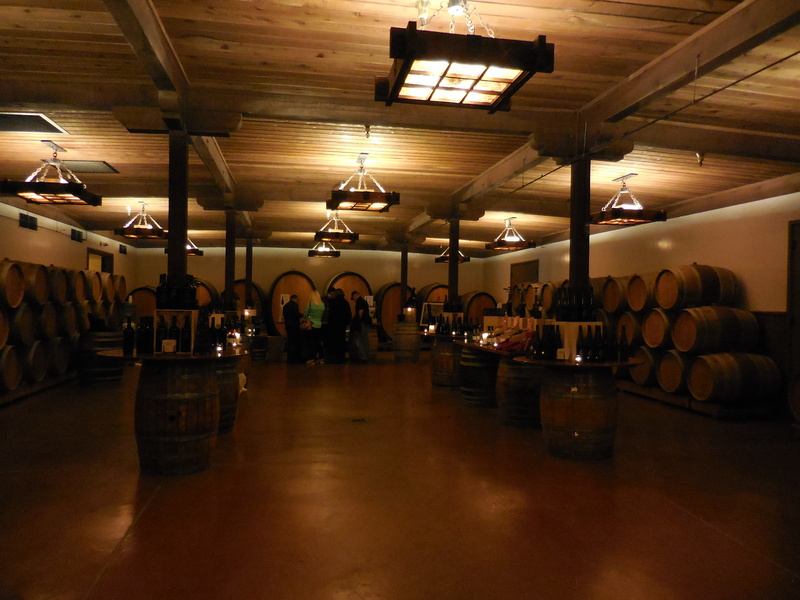 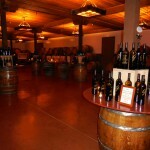 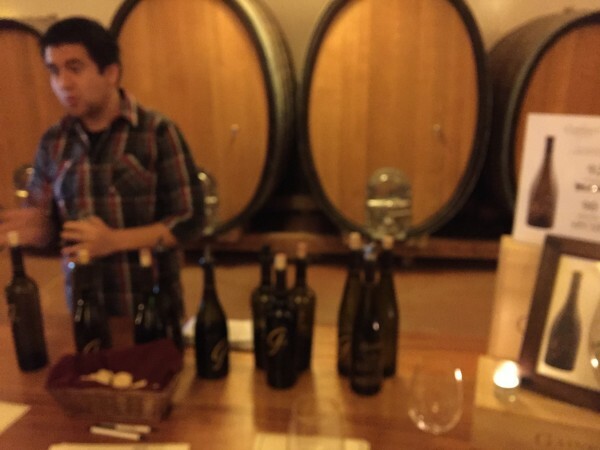 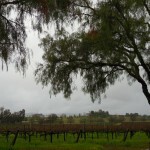 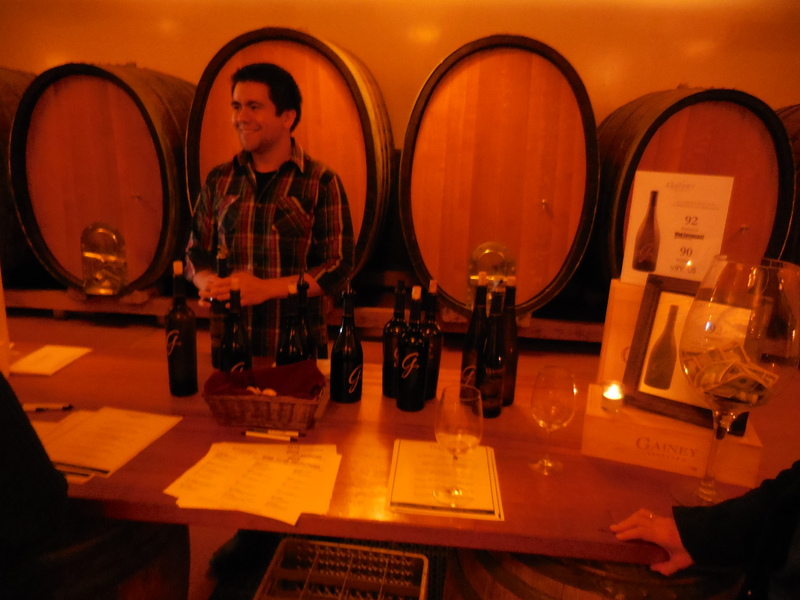 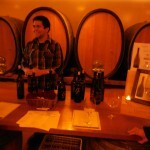 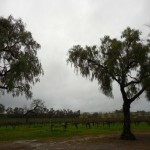 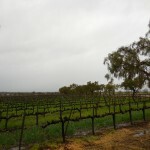 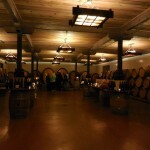 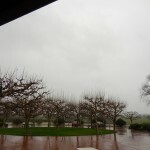 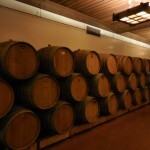 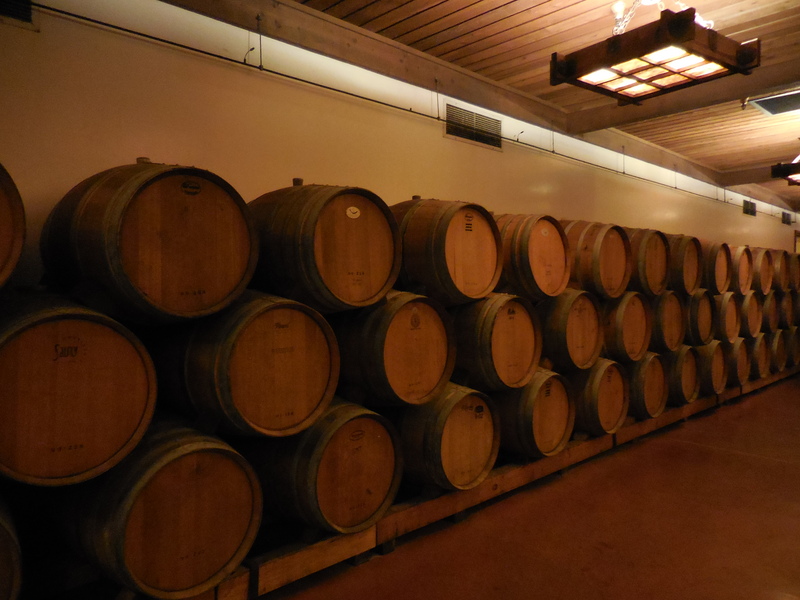 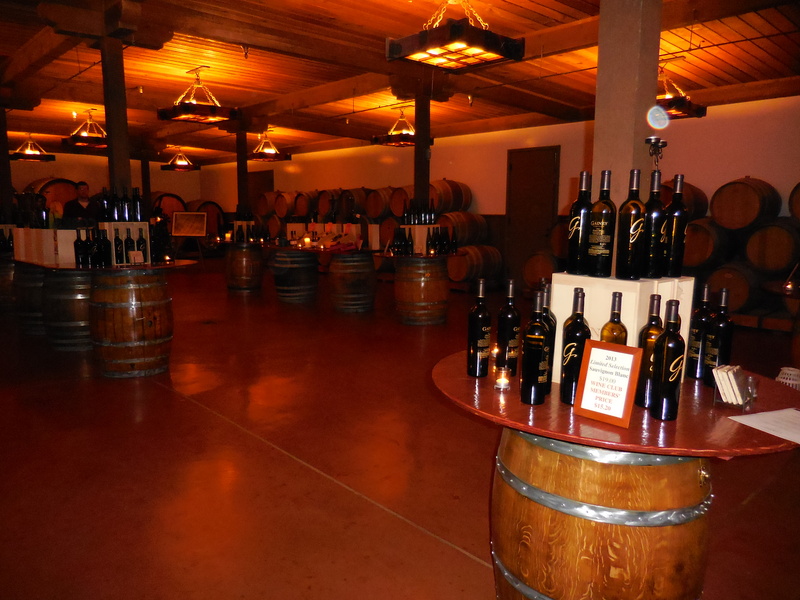 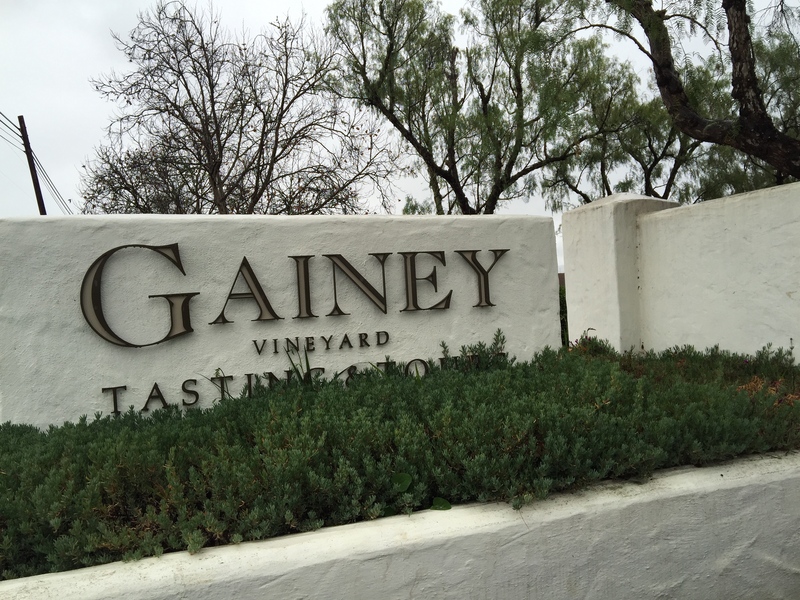 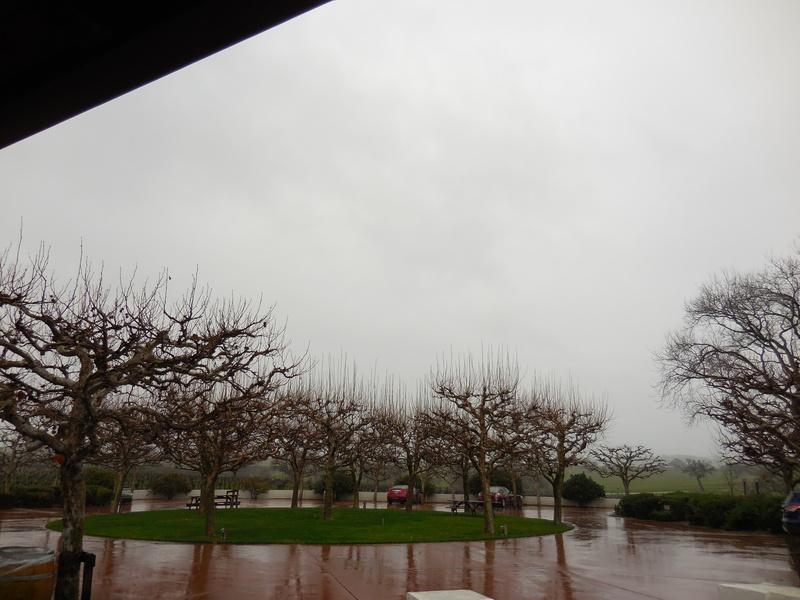 Our first stop was Gainey Vineyard where we did a short wine tasting of 6 wines for $15/person. We learned about the wines that grow best in the region, but the best part of our stop was enjoying the view of the rolling hills and vineyards. 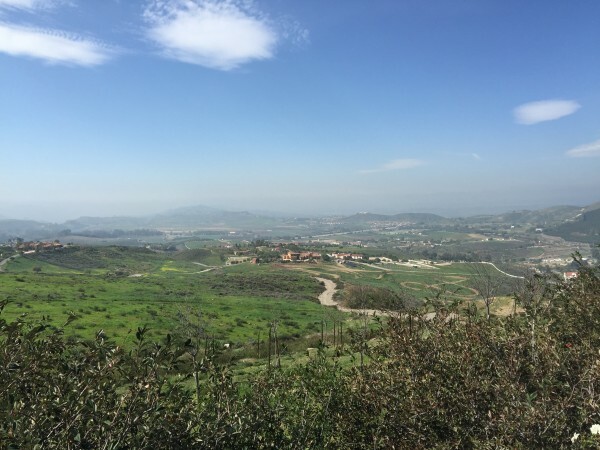 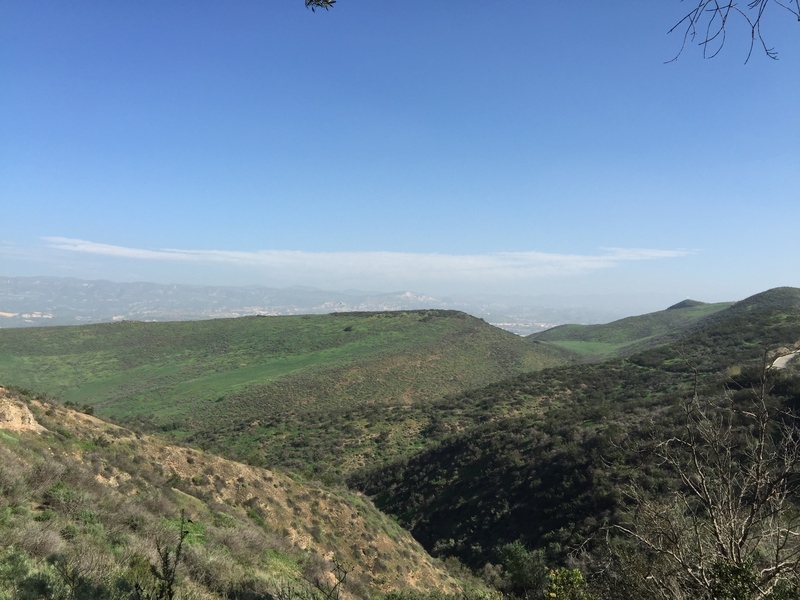 Headed out to the “suburbs” of Santa Ynez shows a whole different part of Southern California with rolling green hills and nothing but land — all just 30 minutes north of beachy Santa Barbara. 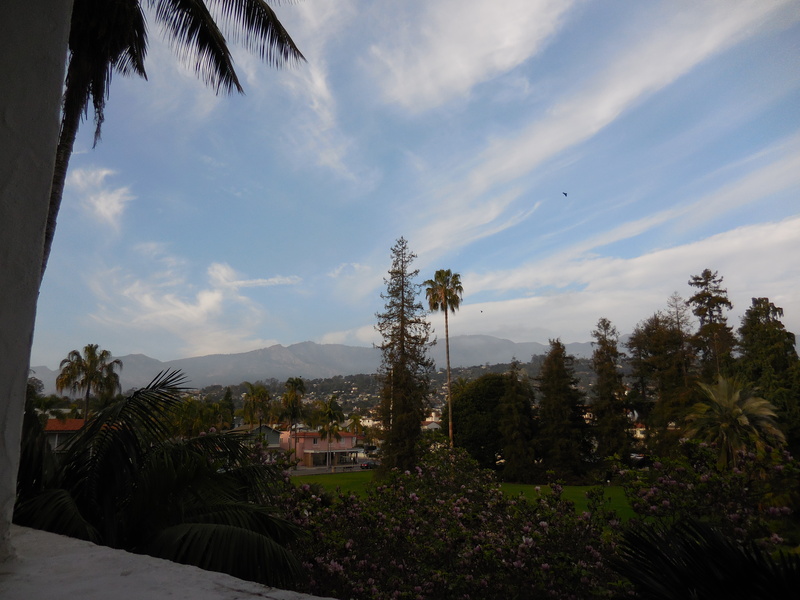 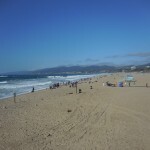 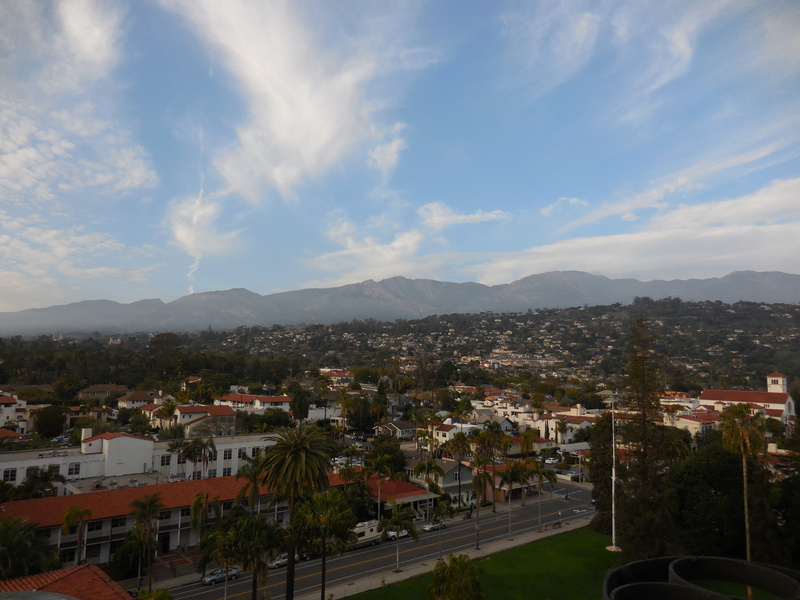 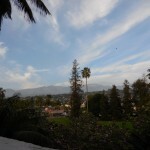 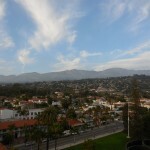 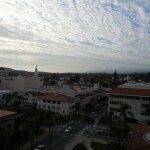 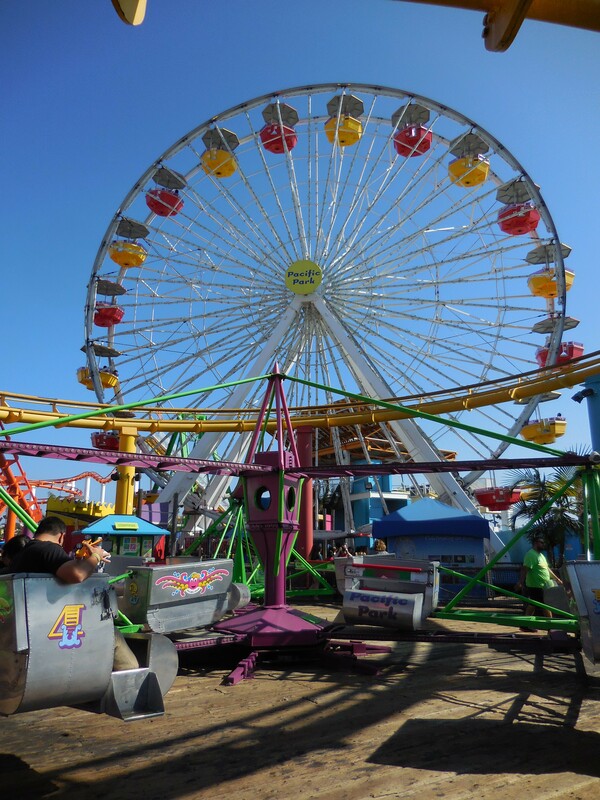 Santa Barbara is one of my very favorite cities in the US and totally worth visiting if you haven’t already! 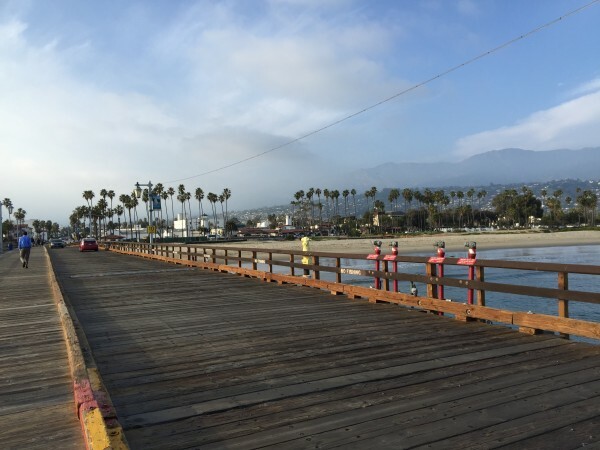 From beaches to antique stores to delicious restaurants, it’s a perfect getaway no matter what time of year!